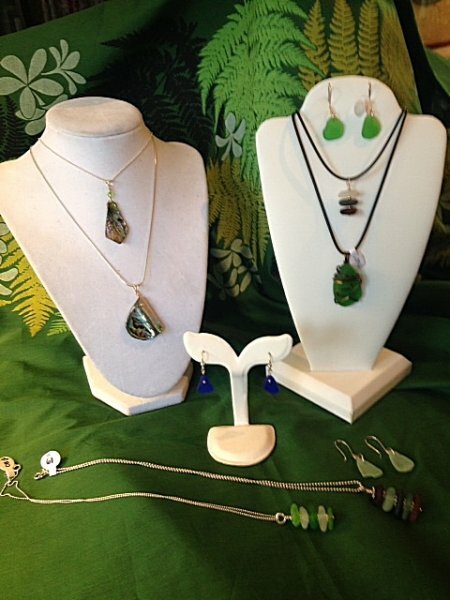 Island Home and Garden is pleased to offer beautiful handcrafted sea glass jewelry from Nancy Allen. 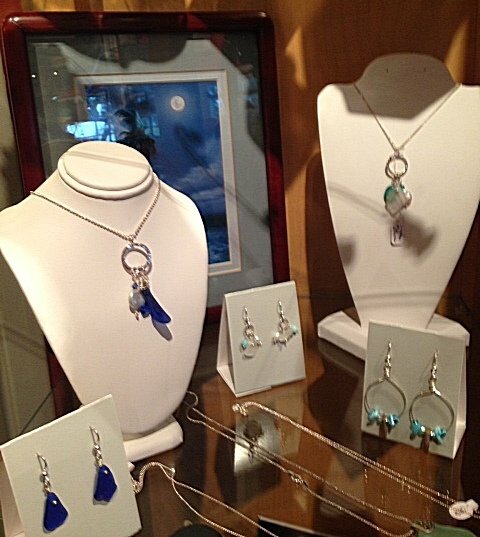 She personally collects all her sea glass, and then handcrafts them into jewelry, displayed in sterling silver. 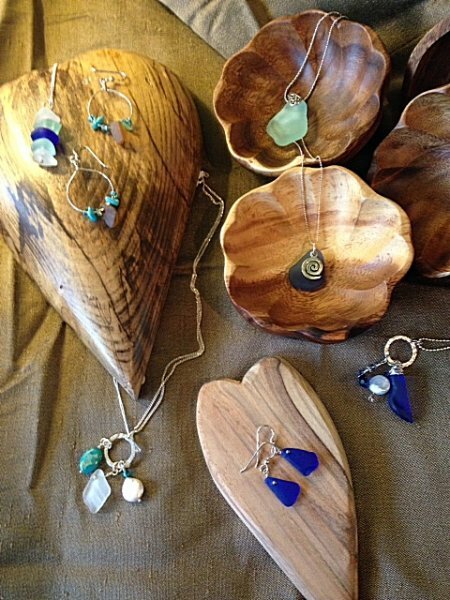 Nancy Allen’s jewelry is inspired by her years of surfing and collecting sea glass while strolling the beaches of Santa Cruz. Smoothed by the natural tumbling of the ocean over many decades, each piece of jewelry has its own unique characteristics. 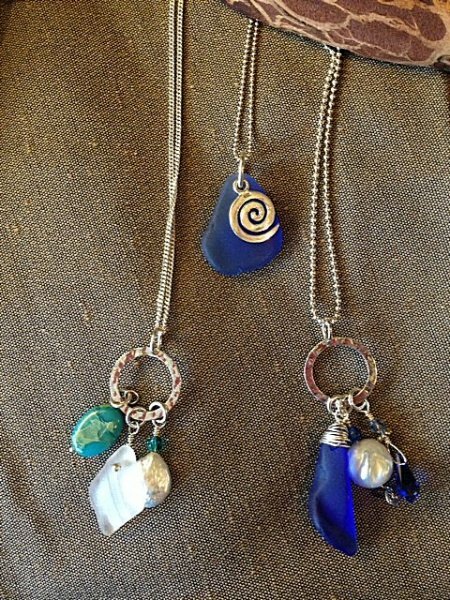 Only 1-2 pieces of every 100 collected make it into her jewelry. After retiring from the corporate world, Nancy turned her passion for collecting these treasures into crafting unique jewelry. 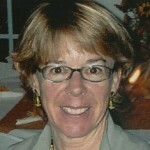 Nancy’s goal is to blend the best of nature, art, and creativity into a piece of art that others can enjoy. Nancy donates one third of her profits to local animal rescue and marine conservations groups. She was recognized as a major contributor to the Seymour Marine Conservation Center in Santa Cruz, making free community days possible. 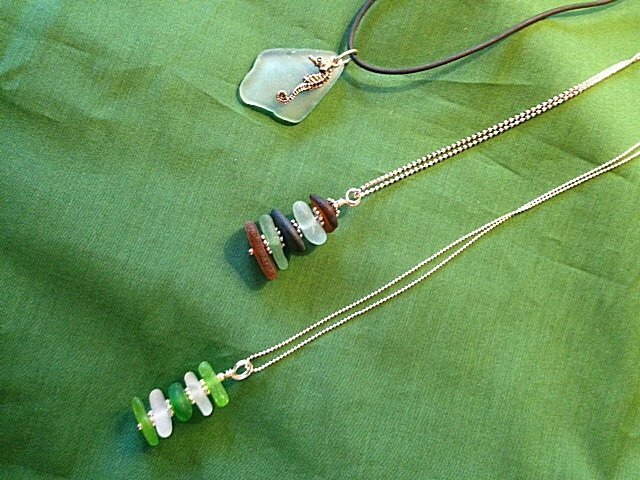 Nancy also specializes in creating unique, beautiful, seaglass necklaces for wedding parties and for bridesmaid gifts. Contact us to discuss your needs and special pricing we have for your groups.